(The Edge Markets) – Malaysia’s palm oil stocks at end-October are forecast to rise to the highest in three years at nearly 3 million tonnes amid a seasonal rise in output and a slip in export demand, according to a Reuters survey. Inventories are expected to climb for a fifth straight month, rising 14.1% from September to 2.90 million tonnes, based on the median estimate of eight planters, traders and analysts. That would be the highest level since November 2015, and the sharpest monthly gain in a year. Rising stockpiles could put further pressure on benchmark palm oil prices, which hit a three-year low last week. 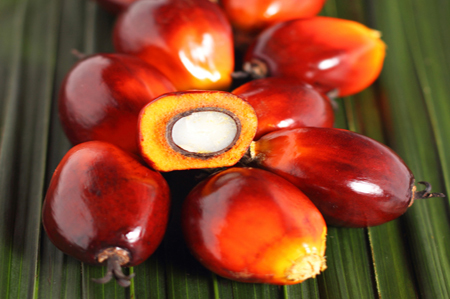 Palm was last trading down 0.7% at RM2,139 (US$513.32) a tonne at the midday break on Monday. “The high inventory levels are attributed to the lack of demand from major buyers,” said a researcher at a Malaysian plantations company, referring to India, the world’s largest palm oil buyer, and China. Survey respondents expected exports to fall 13% to 1.41 million tonnes in October due to competition from cheaper Indonesian shipments and a weak Indian rupee, which has shed nearly 8% since end-June, making imports more costly. Malaysian shipments to India fell more than 20% in October, according to cargo surveyor Intertek Testing Services, while another cargo surveyor, Societe Generale de Surveillance, put the fall at 63%. Chinese demand typically tapers off in the last quarter of the year as colder winter temperatures can solidify palm oil, leading buyers to seek alternatives. The survey pegged October production at 1.96 million tonnes, up 5.7% from the previous month to its highest level in a year. “We gather there has been a change in cropping patterns this year, which leads me to believe the peak (output) will likely take place in November,” said Lavis Chong, a plantations analyst at Kenanga Research in Kuala Lumpur. Palm oil production typically rises during the third and fourth quarters, and has tended to peak between August and October in recent years. Official palm oil data will be published by the Malaysian Palm Oil Board after 0430 GMT on Nov 12. The median of forecasts from the Reuters survey put Malaysia’s consumption in October at 275,854 tonnes.